This workshop is designed to identify the challenges that community-based practitioners encounter when providing care to LGBT patients and discuss various (trauma-informed) community best practices that have shown to improve mental health factors for LGBT individuals. As providers, there is a responsibility to ensure both direct care and organizational practices operate from an LGBT trauma-informed approach that best facilitates a fostering culture while minimizing re-traumatization. But, understanding ones’ impact is not always obvious. Through an awareness of the social determinants that are involved and a willingness to implement effective empowering best practices, providers can best maximize the resiliency of their LGBT patients. Suwannee River Area Health Education Center, Inc. is a Florida Board of Nursing, Dentistry, Pharmacy, Psychology, Respiratory Care, Occupational Therapy, Acupuncture, Nursing Home Administration, Clinical Social Work, Marriage and Family Therapy and Mental Health Counseling and Florida Council of Dietetics and Nutrition approved provider of continuing education. CE Broker Provider ID #50-1922. 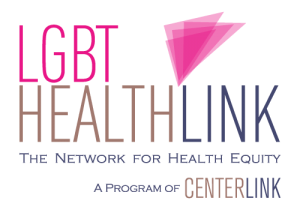 LGBT HealthLink, a program of CenterLink, is a community-driven network of experts and professionals enhancing LGBT health by reducing tobacco, cancer, and other health disparities within our communities. They are one of eight CDC-funded cancer and tobacco disparity networks. They link people and information to promote adoption of best practices in health departments and community organization to reduce LGBT cancer and tobacco disparities.